Among the letters collected in three morocco-bound autograph albums by Massachusetts senator, abolitionist, and bibliophile Charles Sumner is one from Lorenzo Da Ponte, best remembered as Mozart’s librettist for Le Mariage de Figaro, Don Giovanni, and Così fan tutte, to England’s future “Prince of Librarians,” Antonio Panizzi. The letter was written on behalf of a young American scholar, Henry Wadsworth Longfellow. Da Ponte had emigrated to the United States in 1805 and eventually settled in New York City, where he opened a bookshop that specialized in European literature; at Columbia, he became the first professor of Italian literature at an American college. A political exile, Panizzi fled his native Italy to Switzerland before arriving in England in 1823. He soon found himself at the heart of Italian émigré culture in London and Liverpool, which led to his appointment as Chair of Italian Language and Literature at the newly established University of London. Of greater consequence, however, was his appointment in 1831 as “Extra Assistant Librarian” at the British Museum: for his services to that institution he would be knighted by Queen Victoria in 1869. Da Ponte and Panizzi, it may be said, were the leading exponents of Italian language and literature in the Anglophone world at that time. 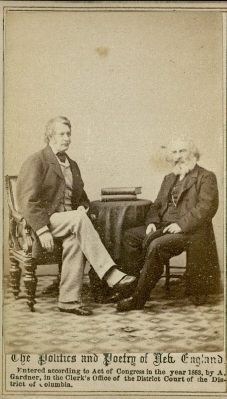 Longfellow, who had contributed an account of Italian languages and dialects to the prestigious North American Review in 1832, corresponded with Da Ponte early in 1835 to order Italian books from his stock. Interestingly, Da Ponte’s letter of introduction to Panizzi is dated 10 April 1835 – the very day Longfellow embarked from New York on his second European tour, which he undertook to improve his knowledge of German and Scandinavian languages before assuming the Smith Professorship of Modern Languages at Harvard. 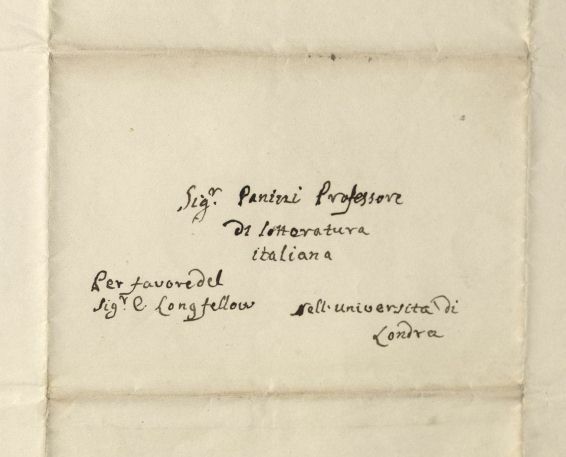 In the letter, Da Ponte offers extravagant praise of his young American friend, calling him “astro luminosissimo nel ciel” (“the brightest star in the heavens”), while misspelling his name “Longhouse” elsewhere. That the letter was kept in Longfellow’s possession argues against his ever having met Panizzi during his month in England. 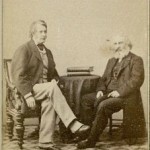 Easier to explain is how the letter came into Sumner’s possession: he and Longfellow were lifelong friends, from the time they first met in Cambridge in 1837 until the senator’s death in 1874. It would have been in Longfellow’s nature to consign such a treasure to his dearest friend. 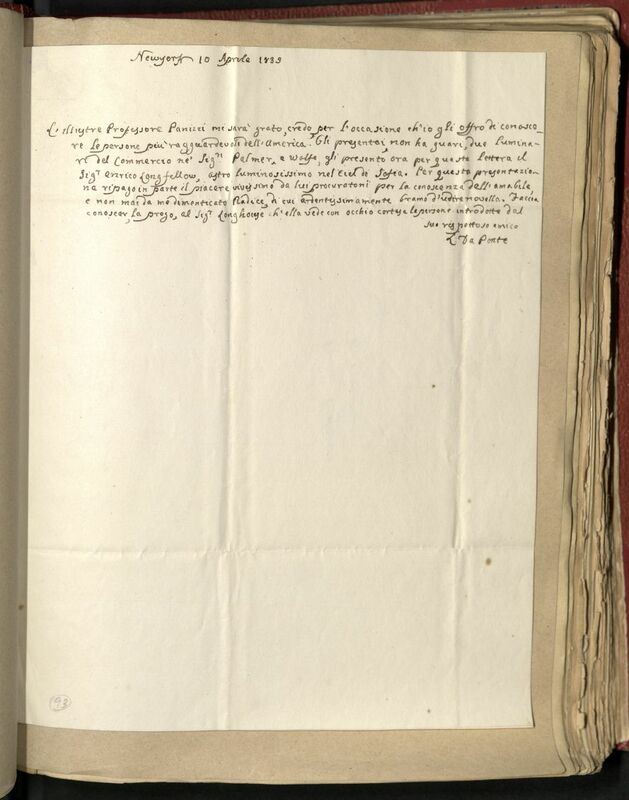 This post is part of a weekly feature on the Houghton Library blog, “You’ve Got Mail,” based on letters in Houghton Library. Every Friday this year a Houghton staff member will select a letter from the diverse collections in the Library and put that letter into context. All posts associated with this series may be viewed by clicking on the You’veGotMail tag.